At Lou Dog Events, we’re all about finding new, different, exciting, and sometimes downright odd experiments in beer. Usually that means some clever brewer is pushing the boundaries of hop varieties, or barrel-aging, or reinterpretations of classic styles. But every once-in-a-while, comes along an evolution in beer serving technology. Enter - the Goose Island Bourbon County Stout Beer Backpack. There almost isn’t a reason to even talk about the thing. Almost. 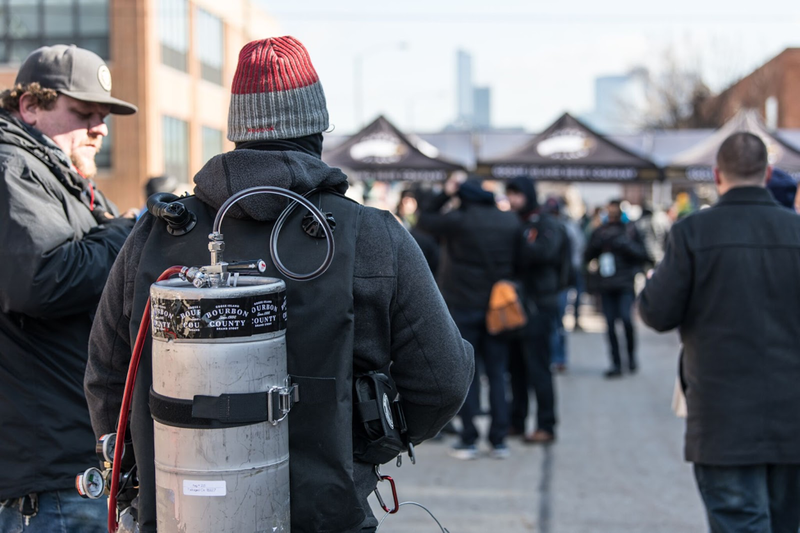 Because we want to make this super clear - we’re going to strap a keg to our backs, and walk around the Naperville Ale Fest grounds pouring Goose Island’s Bourbon Country Stout. It’s literally a beer backpack. So if you’re wandering around Naperville Ale Fest - Winter Edition thinking about what beer to go try next, you might not have to wander long because a nice backpack wearing beer fest host comes up to you and says, “Would you like some beer?” You should say yes. Emphatically. Because then you’ll be sipping on BCS amongst fellow beer fans, outdoors, in the middle of February. That was poured from a backpack.